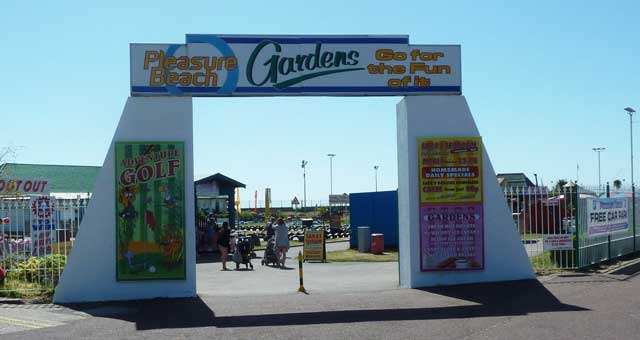 Pleasure Beach Gardens01493 844585work Theme ParkPleasure Beach Gardens, Great Yarmouth, has plenty to entertain youngsters and the young at heart including a variety of amusements, junior driving activities, 12 hole adventure golf and shoot out football and water fun games. On arrival in Great Yarmouth follow signs for the Seafront, taking a right-turn at the mini-roundabout onto Marine Parade. 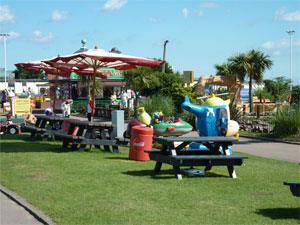 Pleasure Beach Gardens is located at the far end of Marine Parade just prior to The Pleasure Beach.